I think this started just as a pun on ‘Schiele’ and ‘She-Ra’ and the idea developed from there. 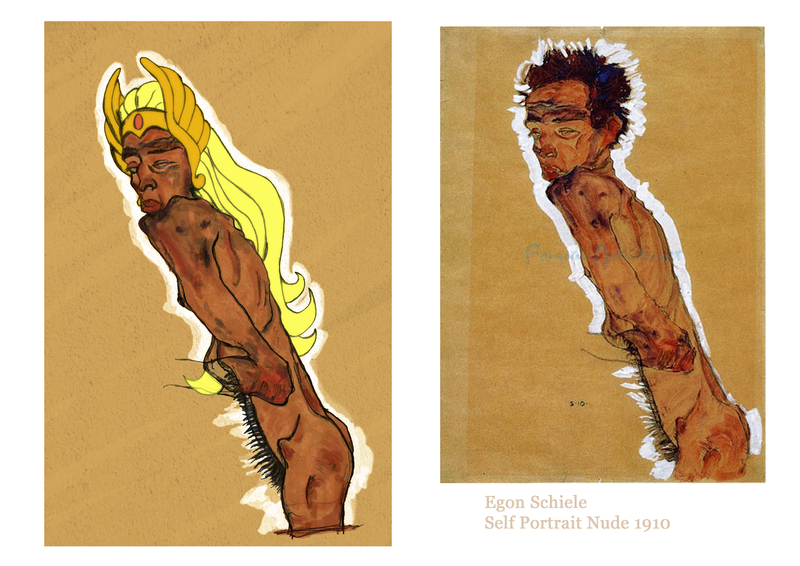 Or at least it developed as far as three pictures based on three Egon Schiele portraits with added She-Ra to become ‘Schiele-Ra’. 80s action cartoons were a big thing for me growing up. They definitely influenced the kind of imagery I’m still interested in drawing. Through college I began to learn about style and form and that’s where other influences, like Schiele, had an impact; and it’s been interesting for me to revisit his work here. I could read a lot more into my psychological reasons for finding this combination so satisfying. 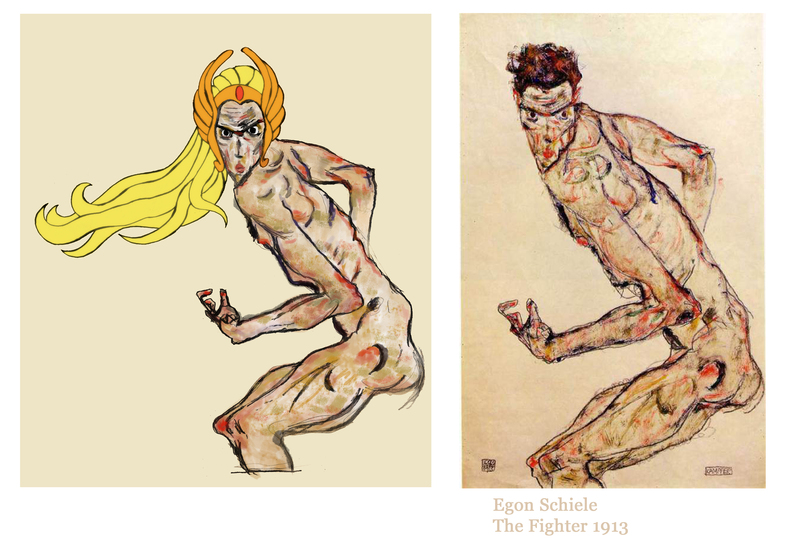 I’ve included the Schiele images I used as reference next to the Schiele-Ra images below. This entry was posted in Illustration and tagged Schiele-Ra. Bookmark the permalink.